Usually when composers write concertos, they write them for themselves to play and premiere. Sibelius wrote his concerto for his 'ideal' self. It was his first wish, a burning ambition since youth, to be a great violin virtuoso. But a number of unlucky factors stopped him reaching this goal. He started lessons relatively late (at 14) and also didn't get very teachers because he lived in a rural area. 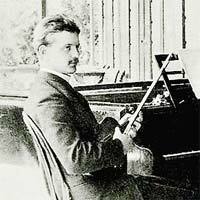 Poor old Sibelius also just didn't have quite the right amount of natural coordination to master the highest levels of violin technique. 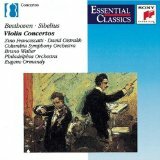 Sibelius first had ideas for a violin concerto in 1899. He sketched it out a little bit, but it wasn't until 1903 that he began to take it seriously. He became obsessed with the idea and threw himself into composing it with fire and delight. He would staying up all night trying out melodies on his violin. Potential themes and tunes flooded out of his head, each one more beautiful and interesting than the last. His wife said that he got dizzy with all the possible ideas. But eventually he completed it. His new concerto was a brain-explodingly complex and difficult-to-play masterstroke. The famed violin wizard Willy Burmester heaped lavish praise on the piece and offered to use all his fame and skill to blow the audience away, so that "the city will be at your feet". Unfortunately Sibelius, as usual, was in debt, so he moved the premiere (in 1904) from Berlin to Helsinki to get a payoff more quickly. Burmester couldn't make it so a second-rate violinist was hired, who made a mess of the piece. Sibelius cut the concerto down into a more playable-format, which was premiered in Berlin (in 1905, conducted by Richard Struass). It was a success, and this version of the concerto is the one that was published. It's still one of the most popular violin concertos out there. Sibelius makes the violin the hero of his concerto, the pyrotechnic leader of the orchestra. He didn't like to see soloists waiting for their parts to come in, standing idle on the stage. So the composer made the solo violin part enter very early in the concerto, letting out a beautiful, passionate melody. From there the orchestra and violin are equals. The soloist takes on the role of dozens of musicians in one, spilling out waterfalls of extravagant music and avalanches of notes. The violin part is indeed extremely difficult and highly technically advanced (even after Sibelius modified it to be less tricky). But the concerto is symphonic and sweeping enough to never let pure virtuoso fireworks dominate. There is always a dramatic melody or a stirring feeling around the corner. Allegro Moderato. 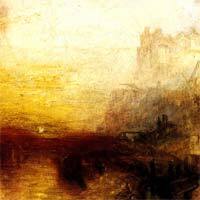 This first movement is a devilish storm of brooding emotion. Packed to the brim with near-impossible violin challenges, some of which require almost a lifetime to master, it's a wonder the soloists can keep going at all after the movement's finished! Adagio di Molto. This much slower and calmer movement has a singing quality. For me it's one of the most beautiful pieces music Sibelius wrote. Allegro Ma non Tanto. This "Polonaise for Polar bears" is even more formidable than the first movement. One of the greatest movements in any violin concerto ever, this terrifying dance has a bleak, apocalyptic atmoshphere. It's filled with stabbing sounds, angry discords, and imagery of an unstoppable war. Sibelius's own favorite interpreter of the Sibelius violin concerto was Ida Haendel. You can buy a recording of her performing the piece with the Czech Philharmonic Orchestra, but the recording is very old. Although the playing is excellent I feel the poor sound quality makes this recording less enjoyable. Leila Josefowicz- has a wonderfully impassioned recording on Philips, together with Neville Marinner conducting the Academy of St Martin-in-the-Fields. Her technique is staggering and brilliant, with a brisk confidence that sets the concerto on fire. But my recommendation has to be the recording by soloist David Oistrakh (from the video above). He simply has such a strong, masculine, near-invincible presence and sound. The way he plays sounds like he finds the concerto too easy. He injects the music with a deep, glowing, rich passion which is unlike anything I've ever heard. Incredible. This recording is from the late 1950s. You might also be interested in Sibelius's powerful Finlandia.